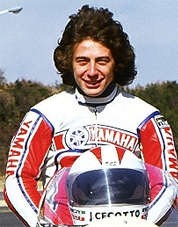 Johny Cecotto - race | Yamaha Motor Co., Ltd.
Born January 1956. Started racing at age 16 in 1972, and the following year came 3rd in (Brazil's 500-mile) Interlagos 500, and took the open class title in the Venezuela Championship. 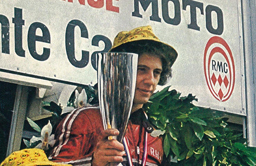 In 1974, won the Interlagos 500 and repeated his win of the Venezuela Championship. Acclaimed as Central and South America's top rider. 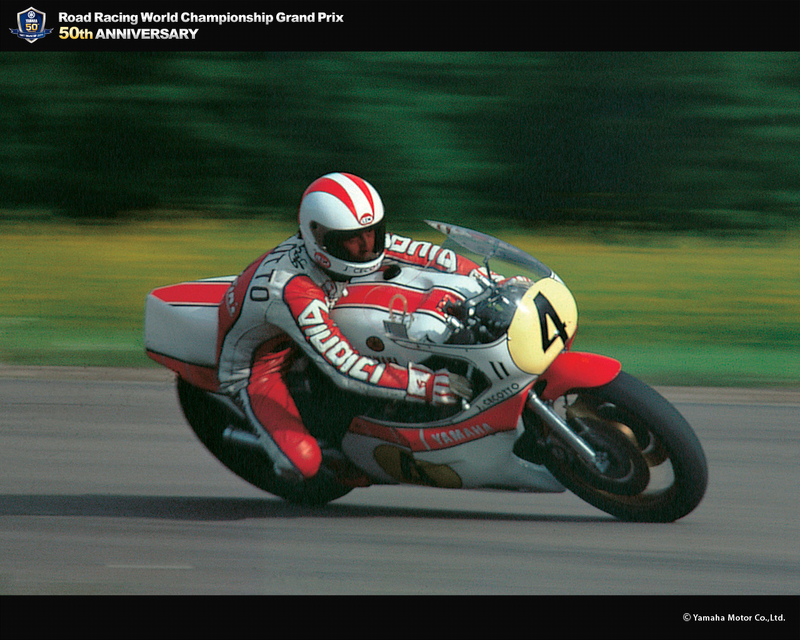 In 1975, came third in the Daytona 200 and entered his first World GP. 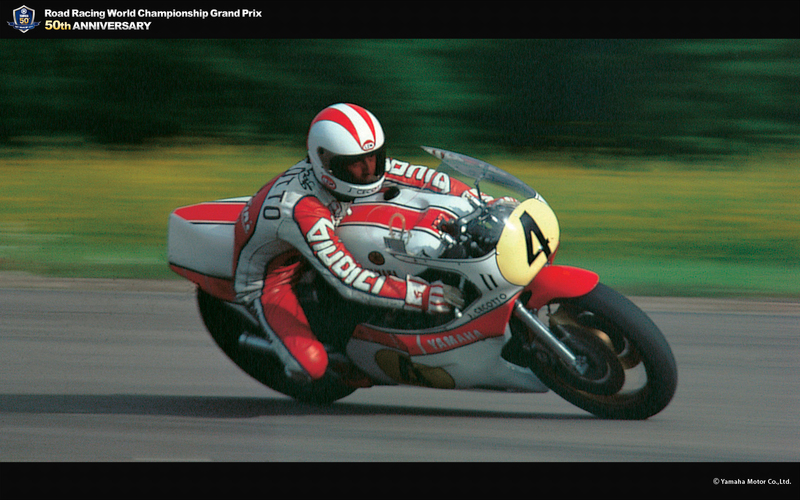 At the early age of 19 (the youngest rider at the time), took the 350cc GP title and was also placed 4th in the 250cc class. 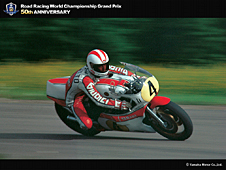 In 1976 won the Daytona 200. From 1977, joined the Yamaha Factory Team, and in 1978 won the F750 World Championship and was ranked 3rd in the World GP500cc series. With Yamaha, won a string of accolades up to 1980 when he finally switched to car racing and demonstrated his considerable abilities in a number of arenas such as the European F2, the F1 GP and touring car racing.